This is very interesting and he gives many links to followup on. The Secret Space Program Full Documentary - In this documentary the authors discuss the secret space program, what it is, who is behind it and why? Is there a human civilization living off-world with highly advanced technology and knowledge about the existence of aliens? Why are we being kept in the dark? Since approximately 1980, a secret space fleet code named 'Solar Warden' has been in operation unknown to the public... Is this nonsense, is it a conspiracy or is it simply so sensitive that it will cause uproar around the world? The Origins Of The Secret Space Program - Peter Levenda is an author who focuses primarily on occult history.Here he talks about the Secret Space Program or The Alternative Space Program being run by Jack Parsons and others as early as the 1930's. Peter Levenda was the president of the international division of Ortronics, Inc., a telecommunications company based in Asia. He is a native of the Bronx, New York, and has been investigating and writing about the connections that exist between politics, religion and history since the 1970s. His first book, Unholy Alliance: A History of Nazi Involvement with the Occult, was published in 1994 and bears a foreword by Norman Mailer. Since then, he has published Sinister Forces: A Grimoire of American Political Witchcraft, a three-volume magnum opus that searches for the meaning behind some of the most famous historical events in American history, from the Salem witchcraft trials to Jonestown, from Operation Paperclip to the weaponizing of the paranormal, from the serial killer phenomenon to the Manson Family and beyond, and exposes some of the strangest aspects of American political assassinations and their relation to a shadowy -- yet well-documented -- group known as "The Nine". His research has taken him to Chile during the Pinochet regime to investigate Nazi war criminals, to China, India, all over Southeast Asia, and throughout Europe and Latin America. His work has been praised by Paul Krassner, Jim Hougan, **** Russell, Jim Marrs, Whitley Strieber, Katherine Neville, and many others. I believe Nazi is another name for Annunaki. Last edited by Shayalana on Fri May 17, 2013 1:35 am, edited 1 time in total. 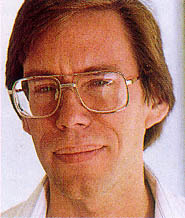 Robert Scott Lazar or Bob Lazar (born January 26, 1959, in Coral Gables, Florida, United States, to Albert Lazar and Phyllis Berliner), claims to have worked from 1988 until 1989 as a physicist at an area called S-4 (Sector Four), located near Groom Lake, Nevada, next to Area 51. According to Lazar, S-4 served as a hidden military location for the study and possible reverse engineering of extraterrestrialflying saucers. Lazar says he saw nine different discs there and provides details on their mode of propulsion. His critics have asserted that "Lazar's credibility crumbled" after "schools he was supposed to have attended had no record of him, while others in the scientific community had no memory of ever meeting him." Lazar first jumped on the media map in 1982 in the Los Alamos Monitor. The article titled "LA MAN JOINS THE JET SET - AT 200 MILES AN HOUR" was about a jet car that Lazar had created and worked on for years with help from a NASA researcher. The car was built from a jet engine modified and placed on an existing car model. It is also important to note that the article noted Lazar as "a physicist at the Los Alamos Meson Physics Facility", as it is one media article that puts Robert on the map as a physicist. In November 1989, Lazar appeared in a special interview with investigative reporter George Knapp on Las Vegas TV station KLAS to discuss his purported employment at S-4. In his interview with Knapp, Lazar said he first thought the saucers were secret terrestrial aircraft whose test flights must have been responsible for many UFO reports. Gradually, on closer examination and from having been shown multiple briefing documents, Lazar came to the conclusion that the discs were actually of extraterrestrial origin. In his filmed testimony Lazar explains how this impression first hit him after he boarded one craft being studied and examined its interior. For the propulsion of the studied vehicles, Bob Lazar claims that the atomic Element 115 served as a nuclear fuel. Element 115 (nicknamed 'Ununpentium' (Uup)) reportedly provided an energy source which would produce anti-gravity effects under proton bombardment along with antimatter for energy production, as the intense strong nuclear force field of Element 115's nucleus would be properly amplified the resulting large-scale gravitational effect would be a distortion of the surrounding space-time continuum that would, in effect, greatly shorten the distance and travel time to a charted destination. Lazar also claims that he was given introductory briefings describing the historical involvement by extraterrestrial beings with this planet for the past 1,000,000 years. The beings originate from the Zeta Reticuli 1 & 2 star system and are therefore referred to as Zeta Reticulians, popularly called 'Greys'. Complete kits will be available for various late-model cars & trucks as well as individual system components for those who choose to assemble their own kits. Simply put, you never have to buy Gasoline again. Since there are no major changes made to your engine, you can still run your vehicle on Gasoline at any time. We now have over 50,000 trouble-free miles on our prototype vehicles. We are currently fleet-testing our systems and are in final preparation for sales to the general public. I find it interesting that none of the crops were damaged by the creators of the crop circle, yet in the vid about UFO's there are some where damage was done to trees and the ground by certian ships as if burned or radiation. Could those ships in the UFO vid be manmade and whatever makes the crop circles not? This is about his latest, Sirius:The Film. Greer and his Disclosure Project are mentioned in this article and even if you don't understand physics the gist of the article is easily understandable. Government man made UFO's(black projects) have been going on for some decades now as well as the real thing of extraterrestrials. This is why discernent is so crucial.Sorry I don't have a link for this since it is a download but it's reference list is extensive if you want to follow the sources. both energy and transportation needs in the 21st century. that electric charge and gravitational mass are coupled. pole. This became known as the Biefeld-Brown effect. hour. The subject was thereafter classified. essentially large-scale versions of his tethered test discs. charge (the K-number) is the yardstick of performance. that is as true today as it was in the 1950s. are suggestive of what was going on behind the scenes. and Hiller.” (Aviation Report 9 December 1955)10. American as having groups studying electrogravitics. mark. Did they really miss it by a half a century? well shielded from both the scientific and public eye. technological implications has been found. indeed suppressed over the past half century or more. 22.
energy stabilizes the electron in a set ground-state orbit. electrons that provides inertia and mass to atoms. which are presently being applied in advanced aircraft. National Press Club in Washington DC. these witnesses support the above contentions. no U.S. president, to his knowledge, has ever held. “UFOs are both extraterrestrial and man made. operation until the early 1960s - around 1962 or 1963.
simulator wasn’t actually functional until around 1958.
was done with cameras or video-type devices.” . .
51, the Air Force, Northrup, Boeing, and others. 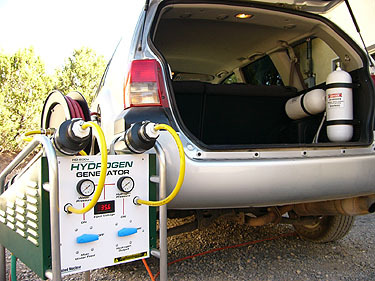 cars that will levitate using this type of technology. aerospace corporations in the United States. extraterrestrial vehicles over the past fifty years. proportion, except that there were three different sizes. the Disclosure Project witnesses cited above. Transdimensional Technologies39 in the USA and J.
Woodward Field Thrust Experiments on Piezoelectrics. the potential to replace all the fossil fuels on this planet. what a number of the witnesses stated as well. business, though predicting these changes is difficult. preparing and writing this paper including: S. Greer, A.
D. Hamilton, T. Valone, E. Mallove, T. Loder, C.
mental Trends, and the Unnecessary Energy Crisis. Psychic Observer 37 (1): 66-67.
motion, dynamic counterbary and barycentric control. Systems: Reports on a new propulsion methodology. Integrity Research Institute, Washington, DC 20005. Gravity Rand Ltd. 1956. The Gravitics Situation. p.
Research Institute, Washington, DC 20005. Aviation Studies (International) Ltd. 1956.
barycentric control. p. 11. In Valone, T. (ed. ), 1994.
barycentric control. p. 32. In Valone, T. (ed. ), 1994. Integrating Overview, Physics Essays 9:156. Force." Phys. Rev A., 39(5):2333-2342. Point Energy." Phys. Rev A, 40(9):4597-4862.
and copies of his papers at: http://www.cheniere.org. P.R. Molnár, J.K. Moscicki, S. Roy, and J.P. Vigier. Concepts and Principles. World Scientific (In Press). Scientist, 28 July 1990, pp. 52-55. Electromagnetic Processes. The Sciences, 34:26. Implications for 21st Century Physics and Technology? LaViolette, P. 1993. The U.S. Antigravity Squadron. future. Electric Spacecraft, Issue 4, pp. 23-28. LaViolette, P. A. 1993. A theory of electrogravitics. replicated. Electric Spacecraft Journal. Issue 16. Oct. Academic Science. Montreal, Aperion. (p. 249). Another NASA coverup or omission? A :13000 year old satellite ???? 20 “Facts” about the 13000 YEAR OLD Black Knight Satellite…? This “Artificial Satellite” has caused mayor media interest since the late 50′s, and it has become one of the most talked about objects in space. First thought to be an Russian spy satellite, the Black Knight has gripped the interest of millions worldwide. 1. According to monitoring agencies around the world, The Black knight has been transmitting radio signals for over 50 years now. 3.Rumors are that it was Nikola Tesla the first man to “intercept” a signal from this otherworldly satellite in 1899 after building a high-voltage radio device in Colorado Springs. 4.Since the 1930′s Astronomers worldwide have been reporting strange radio signals which allegedly come from the “Black Knight”. 5.In 1957, Dr. Luis Corralos of the Communications Ministry in Venezuela photographed it while taking pictures of Sputnik II as it passed over Caracas. 6.The story of the Black Knight made its media debut in the 1940′s when the St. Louis Dispatch and The San Francisco Examiner wrote about the “Satellite” on May 14th 1954. 7.The Time Magazine wrote about it on the seventh of March, 1960. 8.In 1957, an unknown “object” was seen “shadowing” the Sputnik 1 Spacecraft. According to reports, the “unidentified object” was in Polar orbit. 9.In 1957, the United Stated nor the Russians possessed the technology to maintain a spacecraft in Polar Orbit. 10.The first Polar orbiting satellite was launched in 1960. 11. Polar orbits are often used for earth-mapping, earth observation, capturing the earth as time passes from one point and reconnaissance satellites. This would put the Black Knight in the category of a observational Satellite. 12. In the 1960′s the Black Knight was located once again in Polar Orbit. Astronomers and Scientists calculated the objects weight to be over 10 tons which would be at that time the Heaviest Artificial Satellite to orbit our Planet. 13. The Black Knight’s orbit was unlike any other object orbiting Earth. 14.The Grumman Aircraft Corporation gave much importance to this mysterious “Satellite”, On September 3, 1960, seven months after the satellite was first detected by radar, a tracking camera at Grumman Aircraft Corporation’s Long Island factory took a photograph of the Black Knight. 15.The Grumman Aircraft Corporation formed a committee to study the data received from the observations made but nothing was made public. 18. According to the decoded message, the Black Knight originated from the Epsilon Bootes Star System 13.000 years ago. 19. On August 23, 1954 the technology magazine Aviation Week and Space Technology released a story about the Black Knight Satellite that angered the Pentagon who were trying to keep the information secret. 20. NASA has released official images which apparently show the Black Knight Satellite. Discernment is necessary when reading this. However, for what I have gleaned form various websites and information concerning Tesla over the years that invisable govs have developed the technology gleaned from Tesla can easily be used for the Deception part of this Hologram to keep people in fear. Tom Bearden has much info about this. Most UFO sightings are of this nature, manmade craft and especially those that can remain in this dimension for more than 30 minutes you just know are of this dimension. It is easily known what is real and what isn't. You can feel the difference big time. Manmade craft and abductions with mind control don't feel real at all and can be felt as low low frequency. It's mind manipulation. This is just another reason why polishing the heart and practicing those 6 heart virtues is so important and keeping our focus there. The world really really needs it. Last edited by Shayalana on Wed Jan 14, 2015 4:12 pm, edited 2 times in total. James tells us in the PCI that we don't need "craft" but that ET need them to dampen the effects of the Earth's densifying (if I may coin a word) frequencies, that trap them here ... and it explains why, what we are seeing are "Grays" (androids) being sent - like Angels and Demons - to influence us ... or maybe just distract us, now that Religion is loosing it ability to control - and it needs the frequency of FEAR to sustain the Illusion that we need "God"
James, Answer 15: I apologize for sounding like a broken record that repeats itself, however, while I can answer your question in the affirmative that there are bases on the moon (and other planets in our solar system), many of these bases are not manifest in our human dimension. In other words, a human could be standing in front of these bases and not sense them whatsoever. This phenomenon is similar to the orbs that people photograph but don’t see with their human eyes. Similarly, the UFOs that are witnessed on cameras but are not observed with human eyes. The vast majority of extraterrestrial craft are only visible for short periods of time (if at all) because of the gravitational system on Earth “pulls” their crafts into our dimension, making them visible to our senses. On the moon, these gravitational fields are not a factor. The bases were developed by other races, mostly the Anunnaki, as observation and storage sites. This obsession created the various mythologies of extraterrestrials that lived on other planets just like humans and used spacecraft to visit Earth – some benevolent, some not so kindly. However, as I mentioned earlier, the human race is truly the only life form of its kind in the entire universe, in terms of its level of density and manifested physicality, and this is due to Anu’s experimentation in designing human instruments that could be enslaved by the Human Mind System. Curiosity in the human condition is the principal reason that UFOs and extraterrestrial influence and interaction exist. Humanity has been examined and investigated like no other species, and while Anu was very clear that other races could investigate, they were not to influence. However, there were certain beings that were not beholden to Anu, and operated independently of the Anunnaki and their allies, and here I am referring directly to the WingMakers. The GMS is connected to the unconscious region of the Human Mind System. Thus, if a modification vis-à-vis the GMS is made in a fractional percentage of humans, it is transferred to the human family through the unconscious or Genetic Mind. The story of how the WingMakers utilized the GMS to open portals between the human domain and the interdimensional domains would require more time to explain than I have in the context of this interview, but let me just say that the WingMakers attuned some of the implants within the GMS to enable certain individuals of the human family to re-conceptualize, and in some instances, experience, the human soul liberated of the GSSC imprints. Earth/Nature is undergoing its own transformation, stimulated by its resonance with new spatial energies and its own awakening as a result of the human condition. Earth/Nature is well aware of the human influence upon its domains, and this influence has stimulated its defenses or strategies of continued existence. It is perhaps hard to comprehend that Earth/Nature is aware of the Human Mind System when we ourselves remain largely ignorant of our condition, but it is true. Earth/Nature realizes that humanity must awaken to its true essence, or Earth/Nature will be destined to live enslaved to those who are themselves enslaved. Relative to the portals that were opened between the human dimension and that of the interdimensional realms, this occurred, for the first time, in 1998. These portals were revelatory examples of how Anu had deceived virtually all beings through the creation of intermediary domains that were designed programs, within programs, within programs, for the purpose of positioning Anu as God of all. There are all of these accounts in the historical record of individuals traveling into the Heavens and meeting with the angels and masters. These accounts are so numerous as to make it seem as if it were almost common. It is not. Before the portals were opened in 1998, those who were traveling into the Heavens were interacting with realms of the mind and/or astral domains. The era of transparency and expansion began in 1998 and it will continue indefinitely into the vast future that awaits humanity and its interdimensional allies. Saviors can take on the form of many things, including the second coming of Christ, a wrathful God, the Earth, nature spirits, angelic hosts, prophecy, and extraterrestrial forces who will intercede on humanity’s behalf. Each of us is our own and only savior, our only master who can truly cause us to stand up within ourselves and shut down the suppression systems and awaken to our Sovereign Integral consciousness. The Myth Mind is part of the Genetic Memory of Ones Procession of Beliefs. It is a Library of Ones Family Tree or Tree of life Mythology,or Cosmology. My species was at the brink of Extinction,we choose Continuation, and a species that could Host our species in a physical material reality. We were terrestrial beings,we came from a different time and space. We lived on the planet when Giants lived on Earth. The giants were guardians of my species before the destruction of our world. We were Sea People, a small race of species. Our Island was Once ,long ago part of a large chain of Island. Although their are those who call us the Atlanteans,we were not part of Atlantis. We came from Mu. The First Ruler of Atlantis was part of the Staff,that came to rule the Planet. The very first Planetary Prince. The Giant Race devoured my species,and spit us out back onto the Earth. The Giants were destroyed for spitting us back out onto the Earth. My species became inter-dimensional Beings,we were given the promise of Re-Birth, although after a time we became aware that we had been trapped in the under-world,and found ourselves locked in a labyrinth of the astral realms. We were released by a Savior,removed from the shackles of the prison ,only to find out that our whole entire species had been all taken hostages. With only One Life to Live as a Once Born,The Traveler of the Sky,choose to save herself,even though she Knew that Sky Command was Running the Show. don't you find it the least bit questionable, that the ETs show up - when-ever Dr Greer needs "proof" to convice us that they are "friendly" --- and as much as I am inclined to believe that there are benevolent individuals in all Species (esp SECUs) - I don't believe that they are the one's who work for Anu to promote his agenda to suppress our consciousness ... why don't they just show themselves to these "believers" who desire proof that Dr Greer has a "special" relationship with them - why don't they just give us all "free energy" and access to their advanced technology - why have they hesitated for so long to reveal themselves and those who have been conspiring with them for the past sixty plus years to control us? IMO, dr Greer is a genetically modified agent working for Anu, in a last ditch attempt to usher ET into our daily lives ... he tells us that they are Benevolent and just like the series V - they will appear (outwardly) to be helping us - while still serving their own agenda to keep us dependent, ignorant and mis-informed so they can continue to get us to serve their needs with our planet's resources. I have no doubt that ETs exist ... and I have no doubt that they NEED our permission to interact with them - for us to ignore our Nature and surrender our free will to them, before they can trans-humanizes us - en mass ... my question to you Shay, is why do you think we should trust any ETs, when their history of relations with Earth, reveal, that they do NOT have our best interest - nor the Universe's many species best interest, in mind ... ten years ago, when the Question was asked (" do you want us to 'show up') I answered YES, but now that James has revealed their intent, I would answer NO-NEVER - and demand that their true agenda be revealed as well as the "secret" agenda of those who work with and for them - in compartmentalized settings. IMO Dr Greer only has partial understanding of ETs and their agenda - he has only been told half of the truth - and is being used to undermine the evidence of their true intent in an attempt to get us trust them ... those who have more information than he can handle, have reason to hide their involvement with and abhorrence of them - his job is to get us to "welcome" their intervention into our lives ...personally I want NOTHING to do with them - in the past fifty thousand years, that they have been meddling in the affairs of Earth - our circumstances have gotten progressively WORSE -with each new generation we loose more and more of our Sovereignty and Independence ... by design The people who interact with ETs and Interdimensional beings, keep that relationship HIDDEN, not because they fear ridicule, but because they know that they will be perceived as traitor to Humanity and just as self-serving as the ETs they are working with to take advantage of their fellow man - and Dr Greer is just one of the deceived. Here is a snippet from an article about mind control and disinformation agents and an interesting fact is that a lot of children of CIA parents and especially when both are CIA are indoctrinated and used to serve the CIA like their parents did. Being mind-controlled they may not even be aware of it and be programmed to deny it if the topic of being an agend or mind-controlled comes up. The control runs very deep to the point of where these victims are programmed to believe they aren't human and don't have a heart so therefore don't exhibit any heart virtues. They really don't know how to. In the Fifth Interview when Dr. Neruda says everything needs to be looked at in this Hologram of Deception absolutely everything does because everything is a part of the deception. Except, the Energetic Heart as passageway to the Sovereign Integral, I'm not sure if it's possible to completely compartmentalize it to be totally inaccessible with mind-control. It depends on the individual. This really does call for compassion and understanding for those so caught up in this and being so unaware of why and how. AGENT OF INFLUENCE--These agents can be unwitting, under mind-control, or ideologically motivated to use their positions of influence to sway the minds of others. Examples of Agents of Influence are anchor men on T.V., journalists, labor leaders, TV commentators, academics quoted by the media, & some politicians. CONFUSION AGENT--An agent whose job is to produce confusion by disseminating confounding information. CONTRACT AGENT--These are the rogue agents, such as the mob, who the CIA get to do particular jobs on contract. Their connections can be denied. DEEP COVER AGENT--A sleeper agent (often a programmed multiple or person with mind-control programming) who has been a long term sleeper agent. DISINFORMATION AGENT--This is a highly placed agent who passes disinformation to other governments. NOTIONAL AGENT--A fictitious non-existent "agent" which is created with a real-looking identity to mislead. PROVOCATION AGENT--An agent sent in to provoke & destabilize the target group to do foolish things. SPOON-FEEDER AGENT--Someone who dribbles out legitimate information, this is often done to build up a person's credentials (bona fides). Lots of the people who are pretending to expose the NWO are spoon-feeder agents who provide a little new information, tons of already known secrets, and sprinkle in a measure of disinformation for added fun. Generally spoon-feeders increase their percentage of disinformation once they gain respectability. There are very few people really exposing anything of consequence about the NWO. This author has endured the loss of several of the really legitimate whistle blowers who were friends being assassinated since he began writing exposes. What this means is that agents for groups that do mind-control may: have been sleepers for many years and look very legitimately innocent, they may give good correct information to our side, they may say all the right things and try to get us motivated to do more than we would want, they may talk about other friends who are giving them information who do not even exist. It takes discernment to spot people who are not on our side. Unfortunately, such discernment seems to be fundamentally lacking within the public at large. For instance, I have seen people choose obvious NWO agents over this author as a source of "information" (which is in reality disinformation). Most people have bought so much disinformation during their lifetime, perhaps it’s unrealistic to expect them to purge out all the junk they’ve accepted. Just as people in the world need to toss out their worldly thinking, people in the church need to toss out all the indoctrination they’ve gotten from the numerous kinds of harlot churches. At the moment, the system is set up so that the perpetrators of the mind-control are in control of the credentialing process, so that they can provide their stooges/and agents with the best credentials. As the reader can see, the roots of power behind the mind-control go deep. neither of my parents were in the CIA shay - not ever - but both of my parents were officers in the ARMY - my mom was a MASH nurse ... my dad was an officer in the Army ... he last worked in the Joint Chief of Staffs (google it) - which is part of the Army's Intelligence department, but he retired in the mid 60s - which was long before any thing you suggest I may have been subjected to got started ... I understand that your dad was an officer in the Army too ... so does that make you mind-controlled - or were you just born defective? Last edited by starduster on Tue Feb 24, 2015 9:34 am, edited 1 time in total. Here's another interesting read on mind-control and the CIA. It starts off with how drugs were used to experiment on prisoners in Nazi Germany concentration camps as well as on Americans by the some American scientists and the military who didn't always inform the subjects of what was been given them. The point of the experiements was always to have complete control over the subjects mind through the degree of manipulation of it they could get away with. It does help if you have seen the movie THE MANCHURIAN CANDIDATE, to understand the how mind-control works somewhat. There is no positive effect from regular drug use and even for those who argue for their use ask them about their addiction to them. Little do they realize how vulnerable they are to mind-control. The Food and Drug Administration also supplied the Agency with confidential information on drug testing. Of the Western world's two LSD manufacturers, one—EliLilly—gave its entire (small) supply to the CIA and the military. The other—Sandoz—informed Agency representatives every time it shipped the drug. If somehow the CIA missed anything with all these sources, the Agency still had its own network of scholar-spies, the most active of whom was Harold Abramson who kept it informed of all new developments in the LSD field. While the CIA may not have totally cornered the LSD market in the 1950s, it certainly had a good measure of control—the very power it sought over human behavior. When I was in Europe in the late sixties, I could go into any pharmacy and buy LSD, or Meth - the meth was pure (not like the bath-tub variety being sold now), but I don't get the typical reaction to it - it doesn't keep me awake, it actually puts me to sleep ... because I am normally (slightly) hyper, and "speed" ODs me - which turns out to be a very good thing, because a lot of my generation got addicted to "uppers" - they were once prescribed by dr as "diet pills" - but you needed a RX for Valium to come down enough to sleep ... never had much use for uppers or downers, but I did take a lot of LSD ( and loved reds) - but I wasn't impressed with what the Pharm Co's produced, because they left out the activating ingredient (stricnine) which, cumulatively, is lethal, and "real" LSD was no longer available on the (black) market because they arrested Ozley for mfg-ing it ... and LSD in pill/blotter form was never the same after that and I quit taking because I got married and want to have kids - I did try it after the kids left home, but like I said, it was nothing close to Osley Acid... I'm sure that Terrance Mc Kenna and Dr Tim Leary can verify that ( if they hadn't killed them both along with our beloved G. Rodenberry and Carl Sagen )--- and the fact that the krap that they sell now days, isn't real LSD - but, not to dismay, you can still get it - because it grows on cow patties, in the spring - in its natural form as a mushroom - that Jung, Hess, Wm Reich, HG Wells and Huxley took regularly and recommended highly - or you can grow the mushrooms under you kitchen sink, all year round (get the spores online) ... interesting, don't you agree, that the best things in life are free ...and 100% natural ... like cocaine and cannabis ... maybe that's why god, reportedly said, don't put your trust in MAN ... because he invariably F's things up ... and tries to weaponize it - like they did with Telsa's "findings"
Last edited by starduster on Tue Feb 24, 2015 6:13 pm, edited 2 times in total. it really isn't rocket science ... it's just plain ole common sense ... trust your SELF and its intuitive intelligence ... it always has your best interest in mind - it doesn't need god or dr greer to convince you of what it true - IT KNOWS - but some folks choose to ignore what is Universally true - because like all the other psychopaths that served themselves off of the labor of others ... they resist this awareness of their true Nature. I don't dis-like dr greer, I feel sorry for him, and I will continue to expose his agenda, when-ever the topic comes up.